It is located in aesthetically and functionally designed building which is spread across an area of 10 acres of land, the college accommodates well-equipped laboratories, dissection hall, demonstration hall, herbal garden and a library with a reading hall facility. The place Manvi is a taluk place, located just 40 kms from its district head quarters, Raichur of Karnataka State and around 260 kms from Hyderabad. Kalmathada Pujya Shri Virupaksha Shivacharya(KPSVS) Ayurved Medical College and Hospital at Manvi, Karnataka is the first institution of its kind to be established in this part of the Karnataka state. 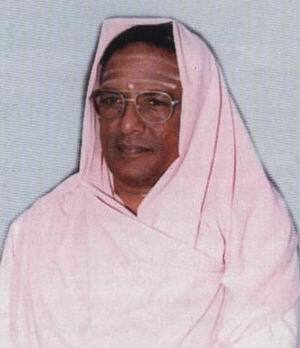 The institution was established in the year of 1996 by a dedicated band of enthusiasts in Ayurveda headed by His Holiness, Sri.Shatastala.Brahmi.Shivamurthy Shivacharya Swamiji,Kalmath, Manvi. The college is affiliated to Rajiv Gandhi University of Health Sciences (RGUHS), Bangalore, Karnataka and is recognised by the Governament of Karnataka and has been approved by the Central Council of Indian Medicine (CCIM), New Delhi. 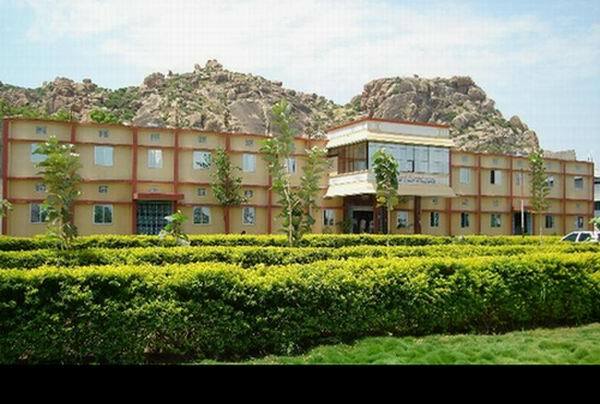 The college is one of the well-known colleges in the State of Karnataka providing all the necessary infrastructural facilities as specified by the CCIM. 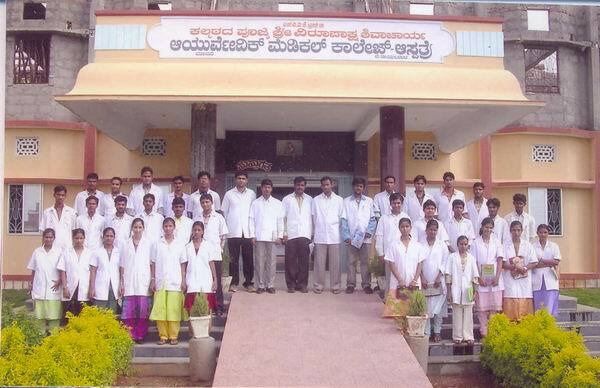 The aim of the College is to produce graduates of profound scholarship having in depth scientific knowledge of ayurveda in accordance with the ayurvedic fundamentals associated with extensive practical training, who would be efficient teachers, research workers, Kaya Chikitaka (Physician) and Shalya Chikitaka (Surgeon) with the sole object of reviving and developing the Indian System of Medicine. The College offers 5 1/2 years Degree Course of B.A.M.S (Bachelor of Ayurvedic Medicine and Surgery) or Ayurvedacharya Degree. Ayurvedachary (B.A.M.S-Bachelor in Ayurvedic Medicine and Surgery) is the only recognized degree in Ayurveda all over India from June 1977. The degree has received recognition and approval of the Central Council of Indian Medicine (CCIM), New Delhi. The College is planning to start M.D. programs in the future. Duration: The B.A.M.S. Degree course is the duration of 5 & 1/2 years. Each professional course period consists of 3 terms, each term with a duration of six months. The students should qualify by PUC II / 10+2 / H.S.C. (Science) or any equivalent Examination. Student must have passed individually in Physics, Chemistry, Biology and English & with minimum 50% marks in Physics, Chemistry and Biology taken together (40% for SC/ST students). Candidates who are passed B.Sc-I or B.Sc Degree of any recognized university with minimum 50% marks in Chemistry, Botony and Zoology taken together (40% for SC/ST students). 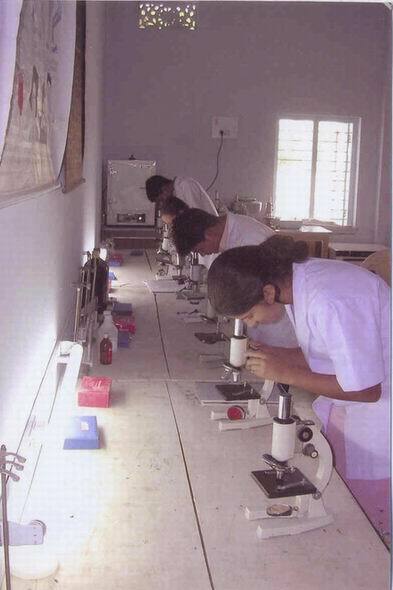 The faculty of the college consists of carefully selected senior teachers with strong research orientation. It is therefore no wonder that the College attracts students from all the parts of India. 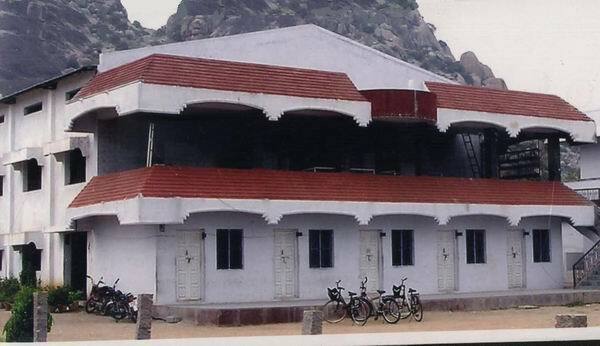 The College has separate hostel for girls and boys. 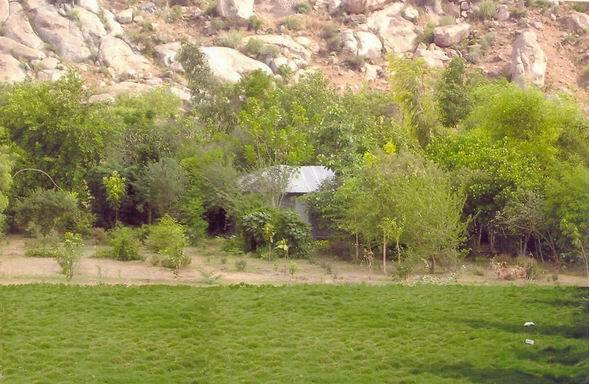 The college has its own Ayurvedic Hospital with 100 bed strength wherein students are given clinical training. A number of patients are treated in our OPD and IPD and so our students get good clinical exposure in the hospital. The College not only provides good clinical facilities to the students, but also organizes various kinds of academic activities including the State and National level seminars and workshops to enrich the academic experience of our students. The College maintains a well nurtured and well developed herbal garden having around 500 medicinal plants, some of which are rare species. 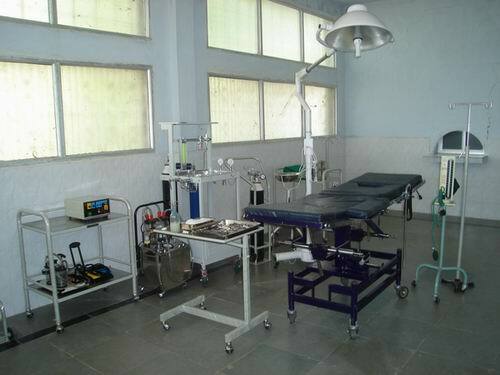 The College has also installed machinery to manufacture various kinds of Ayurvedic Medicines, particularly those derived from the Ayurvedic classical preparations in the college. It also has its own drug-manufacturing unit where the students get hands-on training in drug manufacturing. The college library is very spacious having thousands of volumes on Ayurvedic and allied medicines. 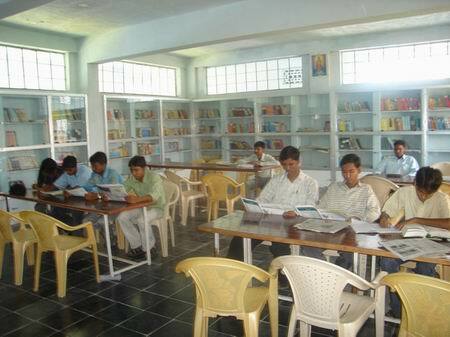 Library has spacious reading hall. B.A.M.S. degree holders are eligible for registration in the Central/State government ayurvedic boards. Their status is at par with any other medical graduates in India. They are eligible for appointments in Central or State Govt. Ayurvedic Medical Services. Address: Kalmathada Pujya Shri Virupaksha Shivacharya Ayurved Medical College and Hospital, Manvi - 584 123, Raichur Distt., Karnataka State, India.